Choose models from IBM servers line, specifically designed for your businesses. IBM System Storage delivers innovative disk, tape and storage networking solutions. IBM System Storage Disk is known for providing efficient, resilient, high-performance storage for mission critical workloads. IBM System Storage helps you maximize return on your investments, reduce complexity and drive innovation with storage hardware, software and services. AIX exploits decades of IBM technology innovation and is designed to provide the highest level of performance and reliability of any UNIX operating system. IBM integrated service management provides smarter solutions and the expertise you need to design, build and manage a dynamic infrastructure that enables you to improve service, reduce cost and manage risk. IBM information management solutions deliver trusted information throughout your information supply chain and help you analyze your data to gain insights, identify breakdowns, and make better decisions that will optimize your business. IBM internet security systems (ISS) offers a comprehensive portfolio of IT security products and services for organizations of all sizes. Our threat mitigation solutions offer protection against a wide variety of attacks and Internet nuisances, including hackers, worms, viruses, spam, spyware and more. 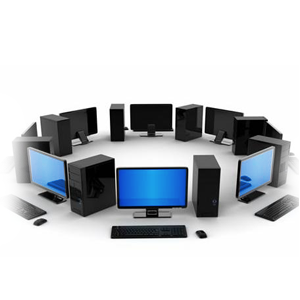 We also provide data security solutions to safeguard valuable information while preserving accessibility. IBM rational helps you design, develop and deliver software to create more innovative products and services, faster than your competition, with lower costs and reduced risk. Software for SOA environments that enables dynamic, interconnected business processes, and delivers highly effective application infrastructures for all business situations. NCR can help you gain an edge in this rapidly changing retail marketplace. NCR is the global leader in assisted and self-service solutions. Retail solutions that we offer include a large array of products including Point of Sales hardware and peripherals (Thermal printers and scanners), information and interactive kiosks, price checkers and retail software. NCR is currently the leader in retail products and the top developer of new technologies like 3D Scanners and 2-side thermal printers. With KOLALY as Cisco Select Partner for Small and Medium Business Specialization, customers can simplify data center operations, accelerate deployment, and reduce costs with the Cisco Unified Computing System, the smart, innovative fabric-computing infrastructure. You can run applications faster in bare-metal, virtualized and cloud computing environments. KOLALY has partnership with Lenovo for wide range of products mainly servers and storage solutions. We want to help you drive your business forward with a server that matches your needs. Reduce costs and complexity by investing in a system that handles today's workload and expands to accommodate future growth with wide range of racks, towers, blades, high density and mission critical servers and options.